Thirteen years ago…Detective Constable Mike O’Shea, a young cop with a knack for working hard and following hunches, was on the verge of cracking a mid-sized prostitution ring until an undercover team from another unit and an overzealous traffic cop burn him. In an effort to track down the pimps before they flee the country, Mike pushes his team into overdrive. Hours later, with too little information, sleep, or luck, Mike’s partner lies bleeding out on a cement floor with a bullet in his head. And now, the chase is personal. 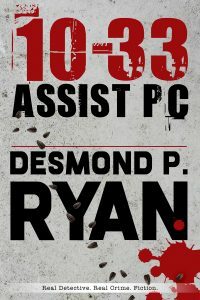 In the first of the Mike O’Shea Crime Fiction Series, 10-33 Assist PC brings us into the dirty world of human trafficking through the eyes of the cops who put their lives on the line every day to shut it down. When his partner dies in his arms, the world as Mike knew it ends and he must decide how to move forward without forgetting the past. A cop is shot. A mother loses her son. A city is in mourning. What does that look like from the inside? 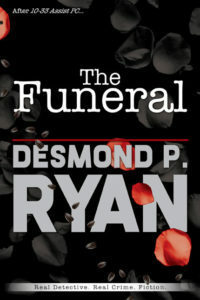 Due to popular demand, a novella–The Funeral–has been written to walk us through the days following the on-duty death of a cop. Read as either a stand-alone novella or a poignant epilogue to 10-33 Assist PC, The Funeral takes us into the hearts and souls of those most closely affected during this dark time. By 2:27 on a Thursday afternoon, the one-legged man from Room 8 at 147 Loxitor Avenue had been beaten to death with a lead pipe. 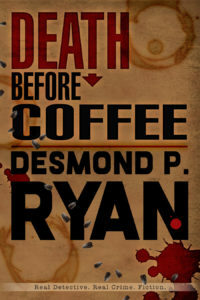 Twenty-eight minutes later, Detective Mike O’Shea is testifying in a stuffy courtroom, unaware that, within an hour, he will be standing in an alleyway littered with beer cans and condoms while his partner uses a ballpoint pen to flick bugs off of a battered corpse. When a rogue undercover copper leaves Mike balancing what is legal with what is right, an unlikely rapport develops between Mike and the lead homicide investigator, a cop’s cop in stiletto’s. At the end of his seventy-two-hour shift, three men are dead, and Mike O’Shea is floating in and out of consciousness in an emergency room hallway, two women by his side.